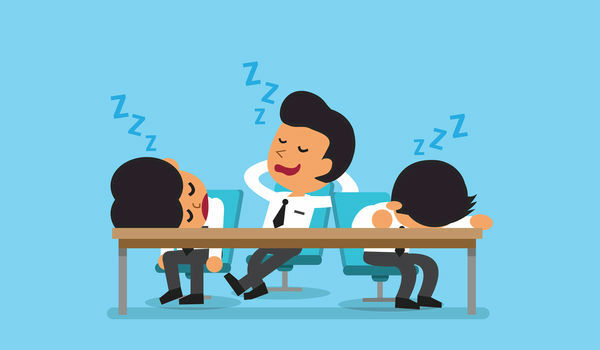 The surest way to lose the attention of your attendees is to have boring presentations all throughout your event. The struggle is real. As Matthew B. Crawford, American writer and research fellow at the University of Virginia, notes, "Attention is a resource; a person has only so much of it." Considering the increasing (digital) distractions, your attendees won't be happy to spend their day focusing on a 75-page PowerPoint presentation a speaker may deliver. However, not every event planner can always understand this. Many professionals would focus on setting up a top-notch event, often forgetting about the elements that make an event truly compelling and engaging. Is this possible by sustaining the same low standards for an event presentation? The obvious answer is "No!" That's why your responsibility is to brief your speakers before the event and assist them in developing a compelling presentation. Stephen Duneier is a renowned professional investment manager. He has multiple achievements, among which setting a Guinness World Record for creating the largest granny square. It took him two years and more than a half million crochet stitches to finish the project. Duneier shared his story during a TEDx Talk. His presentation was compelling and engaging. The images he accompanied his speech with sustained his story, providing beautiful visual clues and testimony. This simple trick helped Duneier's audience visualize his achievements, and maintained their interest (and awe!) during the entire presentation. To grab and keep your attendees' attention, it's necessary to accompany the speech with a visual support. This will help your guests to actually experience the story through images, illustration, or videos, and reach a higher level of understanding and engagement. If there's anything more boring than a text-filled PowerPoint presentation, it’s a numbers-filled PowerPoint presentation. Don't be surprised when the attendees start to yawn at the second slide. To avoid this from happening, advise your speakers to use graphics instead of numbers. This will help the attendees better understand the information without losing their interest or focus. If executed correctly, a graphic or an infographic alone can tell a compelling story. The best way a speaker can capture attendees' attention is by delivering a promise at the beginning of his or her presentation. It can be the promise of revealing something for the first time, or a long-awaited solution to a burning problem your audience may experience. This action will incite the audience’s curiosity and encourage them to stay awake and captivated during the entire presentation. A different way of inducing a strong sense of curiosity is to start the presentation with surprising or counterintuitive information. This will immediately catch the audience's attention and keep them interested. The crucial aspect in this case is to build a presentation that won't disappoint (keep the promise or maintain the same level of surprise as in the beginning of the speech). There's nothing more engaging than to hear a speaker say at one point: "Something weird (or funny, or totally unexpected) happened to me the other day... You won't believe it!" Encourage your speaker to share his or her personal or professional stories with the audience. This will help the attendees relate to the presentation more and maybe even identify with the presented speech. Plus, the speakers will achieve a higher degree of empathy from the audience and maintain their interest in what's coming next. Encourage your speakers to build a dialogue with the attendees during the presentation, such as by asking questions or even running live polls. A speaker who's not totally absorbed with himself or herself is always engaging and interesting to follow. Moreover, by nudging the speaker to talk to the public and ask questions, your attendees will have to preserve a higher level of awareness. Before briefing your speakers, create a small presentation guideline that will help them design a better experience for your attendees. Show your willingness in helping them to deliver the best presentation ever. Work with your speakers on attention-grabbing strategies and walk them through the steps they must take to sustain the attendees' interest and engagement.